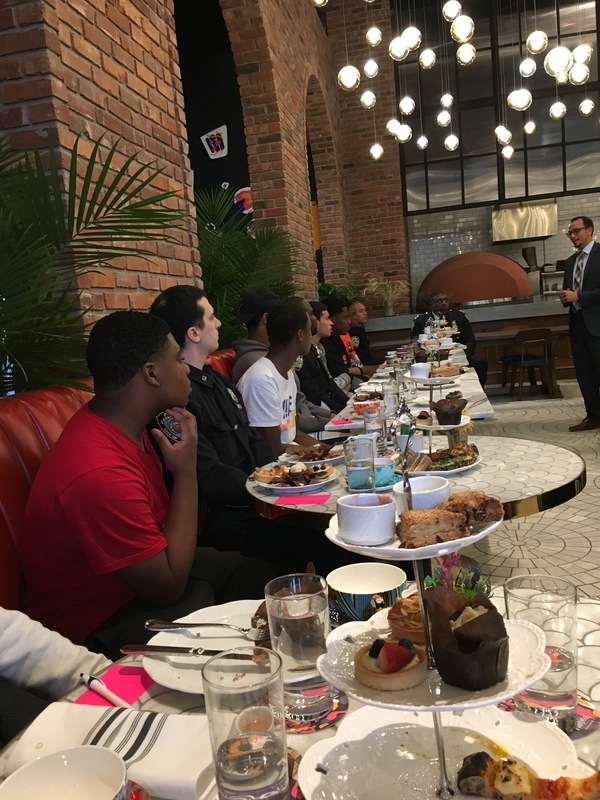 On Friday, March 23, students from WHSAD’s Male Scholars Group attended a high tea financial literacy presentation at The Williamsburg Hotel. Students were regaled with tasty delicacies and classic tea flavors in an environment that exemplifies sophistication. 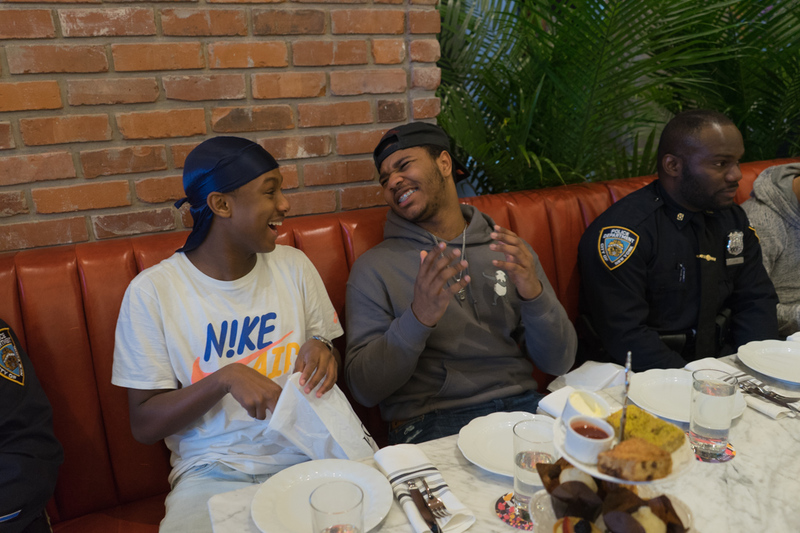 Together with NYPD police officers, students learned about various aspects of financial planning, including bank accounts, credit scores, and identity theft. The presenters were well-versed in the financial concerns of teenagers and provided insights for those just starting to work and beginning to think about what to do with those paychecks. 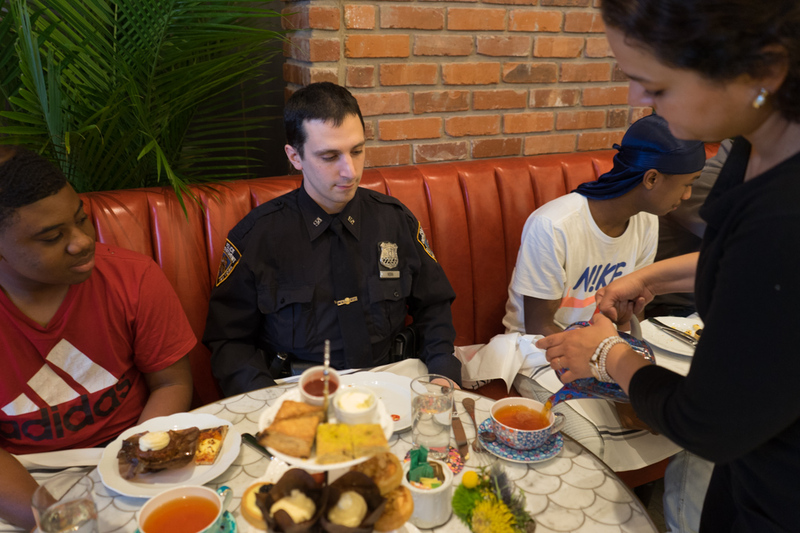 Thank you to Dana Rachlin from NYC Together, The New York City Police Department, and HSBC bank for making this experience possible. Additionally, thank you to Sue Kwon for taking the excellent photos. Below, Sophomore Josiah Connell provides some insights from the session. Last Friday, my friends, teacher, and I went to The Williamsburg Hotel to have high tea with Dana, three police officers, and a group of people who taught us about finance. It was supposed to be a surprise for us, and it turned out to be really good for us. The food that they served was very different and tasted really good. They had a lot of skinny pizzas, carrot cake, mini cupcakes with blueberries and strawberries, and much more. They also served us tea which I’m not used to drinking, so it was something new for me. Once we all finished eating, a group of people came to talk to us about finance and making a bank account and what we need to know about making the right choices when putting in and taking out money from your bank account. My two favorite parts about the trip were the eating and the guy at the end. He had us work in groups to find anything that looked suspicious about different websites. Plus he was funny when explaining people hacking websites and when he brought up NBA jokes about who is better than who.